Limerick’s Bob Shanahan has received a Special Merit Award at the 2018 National Greyhound Awards in Kildare. Mr Shanahan received the prize from the Irish Greyhound Board, along with Tim Keane of Ennistymon, Co. Clare. Both Bob and Tim have been involved with Limerick’s Advisory Council. 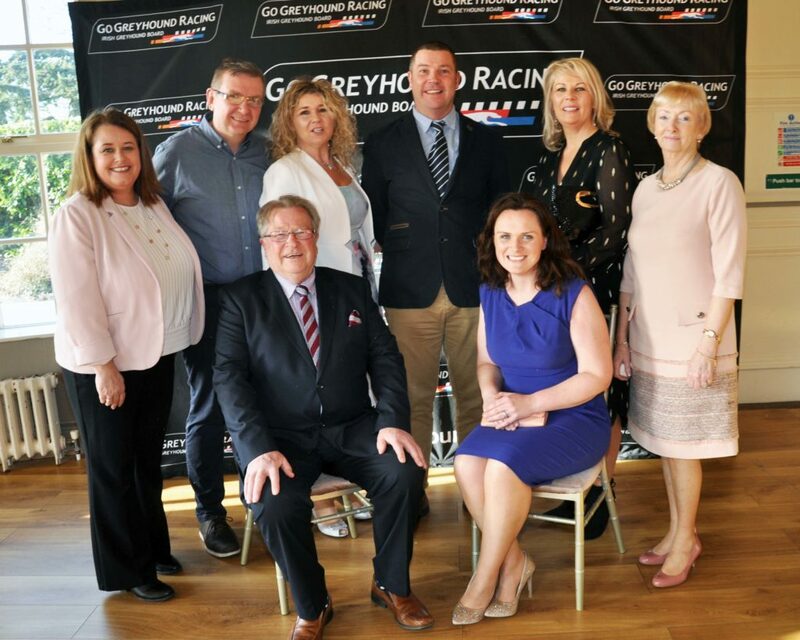 Bob Shanahan celebrates receiving the Special Merit award with his family at the 2018 National Greyhound Racing Awards in Naas, Co. Kildare. Having previously been a director at Limerick Greyhound Stadium, Bob has served as secretary and chairman of the Limerick branch of the Irish Greyhound Owners & Breeders Federation. He currently heads the family-based Pension Plan syndicate, whose star performer is Music Toour Ears, trained by Pat Guilfoyle and a winner of the recent Best Car Parks Gold Cup at Shelbourne Park.